As a dog owner, we are sure you want to do right by your canine companions. That includes protecting them from parasites or other critters that might want to use your pet as a food source. You can protect them against parasites such as fleas quite simply. All you need is a flea collar! Flea collars are a relatively budget-friendly option to keep your dog safe and healthy from fleas. Fleas can cause your dog to scratch and bite their fur repeatedly. They can also transmit other pests and parasites such as tapeworms and can even irritate skin or cause skin allergies. A flea collar helps to protect your dog from fleas by employing a pesticide to kill or repel the pests. An added benefit comes from their little to no maintenance. Purchase one collar, and you’re set for several months! In this article, we showcase some of our favorite flea collars in addition to giving some important information on what to look for. 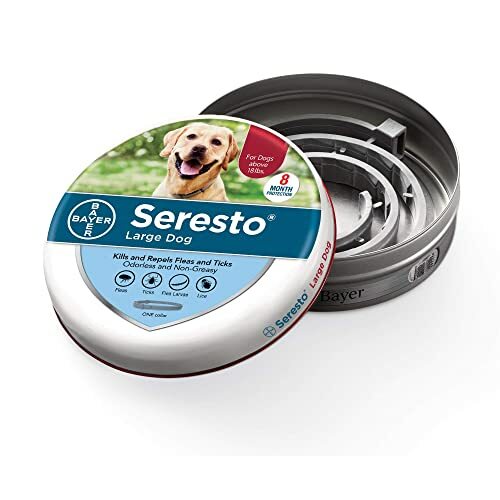 The Bayer Seresto collar ranks easily among the best top flea collars for dogs. Although priced slightly higher than other collars, the Bayer Seresto collar offers enough benefits that makes it well worth the price. This particular model works well with dogs over 18lbs. Bayer also offers a collar for smaller dogs under 18lbs. The Bayer Seresto collar offers protection for approximately eight months – this duration is longer than many other collars on the market. This collar works by killing fleas and ticks on contact. That means a pest does not need to bite your dog in order for it to be eradicated. There’s no mess or odor to worry about so you (and your dog) won’t even know it’s there! Water-resistant with slow-release, low concentration, you really can’t go wrong with this collar. It will serve your dog well for many months and will give you peace of mind to know your dog is well-protected. Unfortunately, some dogs might suffer an allergic reaction and suffer itchy skin, rashes, hives, or other issues with this collar. It’s important to monitor the collar as your dog wears it and report any issues to your vet as soon as possible. A common complaint about some flea collars is how the chemicals can cause skin reactions or even allergies. 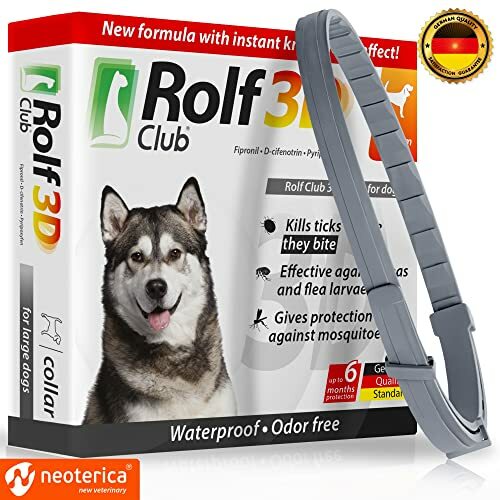 Fortunately, the Rolf Club 3D hypoallergenic flea collar helps to alleviate these concerns while still protecting your dog. This fast-acting, long-lasting collar works to kill fleas and ticks within 24-48 hours and lasts about six months. The German plant- and natural oil-derived formula has been tested by veterinarians to achieve the best results. The repellent is non-toxic and works well on both cats and dogs. This collar comes in three sizes: small, medium, and large. So you’re sure to find the proper size for your dog, no matter the breed. The manufacturer also notes the waterproof feature of this collar! If your dog plays in the rain or sprinkler, you don’t need to worry about the collar losing effectiveness. Some have said the collar does not work as well as others, however. It’s worth testing out to see if your dog scratches or otherwise reacts over several days. 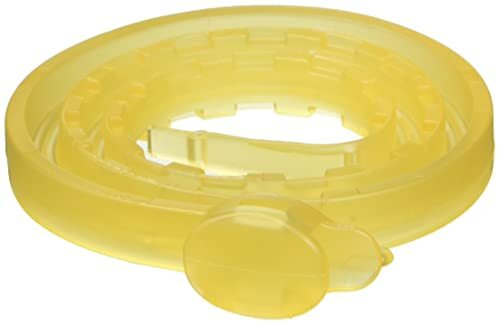 If you’re worried about flea collars that use chemicals for flea and tick prevention, you’ll want to look at the Arava Flea and Tick Prevention collar. 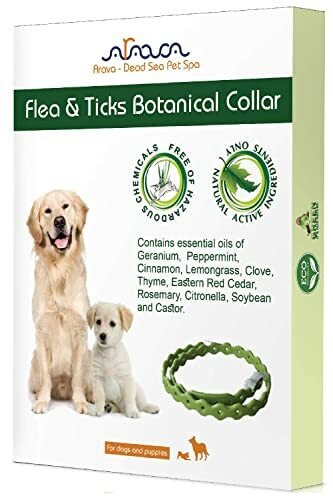 Comprised of 11 different natural ingredients, this collar uses essential oils such as peppermint, castor, citronella, and rosemary to repel pests. Using patented micro-injection technology, the Arava collar repels pests for up to five months. It’s also waterproof and rainproof so your dog can wear it in all conditions! Lastly, it adjusts to fit the neck of almost any dog. Something to keep in mind is that this collar repels fleas and ticks; it does not kill them. Consider looking elsewhere if you’re looking for a collar that kills the pests instead of just repelling them. Others have noted that the smell is potent and overwhelming. You might want to consider a different collar if you’re sensitive to particular scents, especially essential oils. Budget-conscious dog owners should consider this excellent Diffusing Dog Collar by Aveeva. This dog collar comes in three sizes, and each is reasonably priced. This highly durable dog collar uses clove and other natural products to repel fleas and ticks. Some have said this particular collar has lasted a year. Used in conjunction with other preventative measures, this collar should help ease any fleas or ticks your pup might encounter. Keep in mind, however, that it does not kill these pests. You’ll want to use an eradication method to remove them. One issue is the strong natural scent. We highly recommend airing this product out before placing it on your dog’s neck, just to be safe. 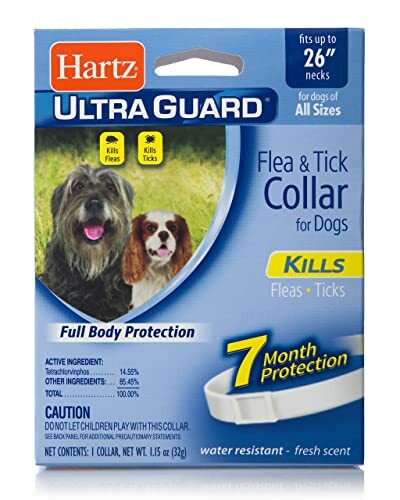 Hartz is a household name in pet care products, and its UltraGuard Flea & Tick Collar reflects that brand recognition with a solid product. This collar kills and repels fleas and ticks for up to seven months. It can even be worn simultaneously with dog’s regular collar. An added benefit comes from the collar’s water resistance. If your dog loves water, this collar won’t lose its effectiveness in the rain or sprinkler. The collar fits dogs with necks up to 26 inches, and you can easily trim it to fit your dog’s neck. It works well for puppies over six weeks of age. Some have mentioned that it works very well for ticks but does not always repel fleas. Others also have noted that although the manufacturer claims the collar works up to seven months, they’ve only received about one month of use. 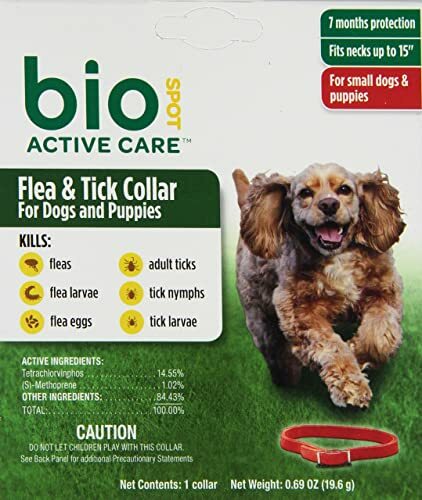 The Bio Spot Active Care Flea and Tick Collar works on all life stages of pests including fleas, flea larvae, flea eggs, adult ticks, tick nymphs, and tick larvae. Not only will it kill existing adult pests, the collar inhibits the development of new pests. This collar works for dogs over six weeks old and fits dogs with necks up to 15 inches. It’s perfect for small- to medium-sized dogs. It’s very difficult for dogs to shake loose so you can be sure it’ll stay on! Some collars are known to cause allergic reactions or skin rashes for some dogs. Many have reported that this collar does not cause such irritation as much as others might. Unfortunately, this collar is not meant to work for very large dog breeds. It might work on dogs with smaller necks (such as puppies), but you’ll need to find something else for your large dog or as your large puppy gets older. 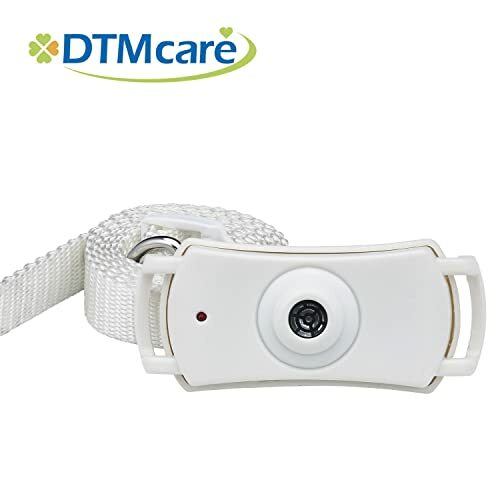 If you’re worried about chemicals or essential oils harming your dog, try using an alternative like the Ultrasonic Flea and Tick Control collar from DTMcare. This uses ultrasonic waves to control fleas and ticks instead of harmful chemicals that can be dangerous to both dogs and children. This collar works by emitting high frequency waves to create sounds which fleas dislike. These waves won’t be detected by humans, cats, or dogs. It has an effective range of approximately four feet. It’s also completely safe for any household! The comfortable collar fits dogs with necks up to 30 inches around. This makes it a great universal collar for almost any dog! Keep in mind that it takes up to six weeks for the treatment to become fully effective. You’ll want to look at something else if you want immediate relief for your dog. If you live in an area that sees an infusion of ticks, you’ll probably want to find a dedicated tick collar. 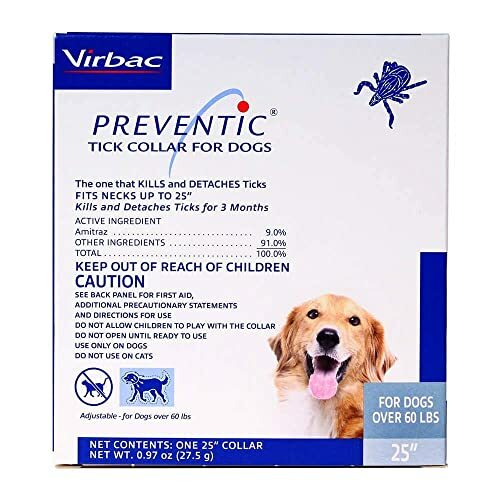 Look no further than the Virbac Preventic Collar! It works to detach and kill ticks that might attach themselves to your dog. It works for up to three months and usually gets to work within a day. Although it might not last as long as other collars, it’s perfect for those months where you might do a lot of hiking or other outdoor activities where your dog can come into contact with ticks. The collar measures 25 inches, but you can trim it to fit almost any dog. Keep in mind that this collar is specifically made to combat ticks. For more comprehensive protection, make sure to treat fleas separately. Some dogs might have a reaction to this collar. If you notice anything different or wrong with your dog, discontinue use immediately. For the most part, flea collars work the same way. The collar contains the chemicals or oils needed to repel and kill fleas, ticks, mosquitos, and other pests. Some collars utilize chemicals to offer a comprehensive solution to kill and prevent almost all kinds of pests. Other collars include solutions made with all-natural materials such as essential oils and extracts. Still, others use high-frequency waves to upset fleas and other pests. It’s important to know what comprises the treatment for your dog. Some collars use harsh chemicals to kill or repel fleas. Others use more natural options to achieve the same effect. The first step in finding a flea collar is to determine whether you want a natural solution or a more chemical one. Some dogs can get severe reactions to flea collars. The chemicals used to treat fleas can cause hives, rashes, dry skin, and other issues. If your dog has sensitive skin, consider purchasing something that is touted as hypoallergenic. Just because a collar might use all-natural components, it may not necessarily be better for your dog’s skin. Some essential oils can also damage skin or cause allergies. Prior to purchasing a flea collar, we recommend consulting with your vet. They’ll be able to provide some great recommendations about which flea collar you should purchase for your dog. Most flea collars work for several months. Determine how often you’d want to replace the collar and choose something that aligns. Typically, you’d probably want to purchase the one that’s effective for the longest. As a general rule of thumb, you can find collars that will work from three to eight months. Not all flea collars are created equal. Some will fit just about any dog and adjust to any neck. Some, however, require that you measure your dog’s neck ahead of time so you know which size to get. We highly recommend leaving some slack when cutting a collar for your dog. This way, your dog can grow into it as needed, especially if they’re a puppy. Do you want to kill fleas and ticks? Or are you simply looking to prevent them? Not all flea collars will kill fleas and ticks. Some of them work to repel so pests don’t cling to your dog in the first place. Determine what you’re looking to accomplish, and then you can go from there! 1. How much should I spend on a flea collar? You can look to spend anywhere from $7 all the way to $50+ for a flea collar. It depends on the brand, if it’s all-natural or made with chemicals, who the manufacturer is, and what specifically the flea collar prevents or kills. For the most part, flea collars aren’t all that expensive. 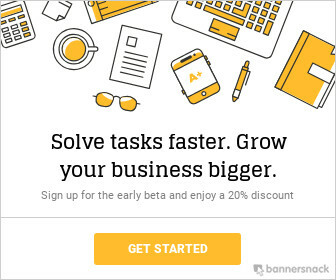 You can find something effective to fit almost any budget. 2. How long do flea collars last? Flea collars usually last for a span of months. Some will last for three months while some might work for up to a year. Consider the time of year when you purchase your collar. That way, you can hopefully avoid needing to purchase another one. 3. Which is better: chemical flea collars or all-natural flea collars? It really comes down to personal preference. Some chemical collars do a much better job of eradicating fleas, ticks, and other pets. Conversely, these often cause serious reactions to some dogs or even allergies. These don’t happen as much with all-natural collars. All-natural flea collars use essential oils and other natural substances to repel fleas and ticks. They very rarely kill them. So these are perfect if you’re just looking to repel. Consider a chemical collar if you need to kill them. Also, natural collars are probably more likely to give up a strong scene versus others. In this article, we touched on some of the basics of flea collars. Flea collars are a great way to keep your dogs happy and healthy against fleas, ticks, and mosquitos. Although designs, treatments, and sizes vary, by far and large flea collars effectively protect dogs. We hope you found this article informative! We are sure you’ll be able to find the perfect collar for your canine companion! As an owner of 3 cats and 2 dogs, all of whom are rescues, I know precisely what pet parents want to read about. It's why I created Pdxdog blog. PDX Dog Copyright © 2019.